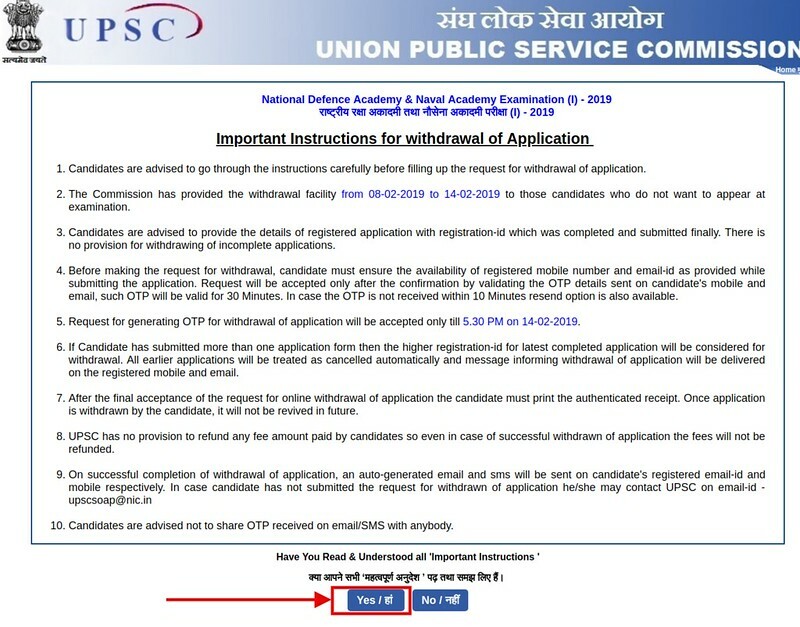 NDA 1 Application Form 2019 – Union Public Service Commission (UPSC) has released the list of the candidates whose NDA 1 Application Form 2019 form has been rejected. The UPSC has not received the confirmation from the bank authorities about the submission of the fee of these candidates. The candidates have been provided the 10 days to submit the proof of fee submission if they have done. All the candidates who will be successful providing the proof will be issued the admit card for the exam. Get here all the details about NDA 1 Application Form 2019. Latest: UPSC has released the list of Fictitious Fee. Click here to check the same. 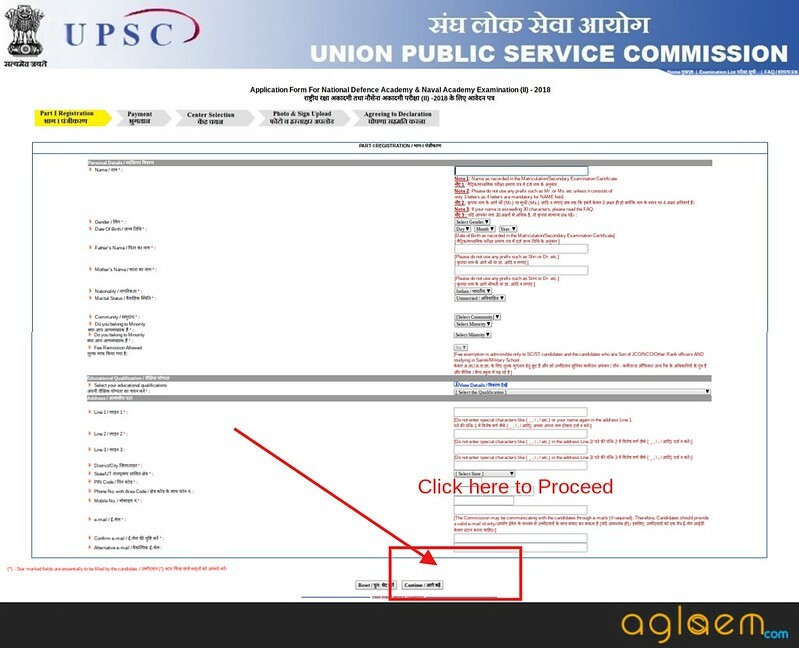 The candidates who have submitted their form in time, and whose form accepted by UPSC only those forms can be downloaded. In any case, the candidates have to submit the request for generating the OTP before February 14, 2019 by 05:30 pm. Withdraw Application Form: Process over ….!! 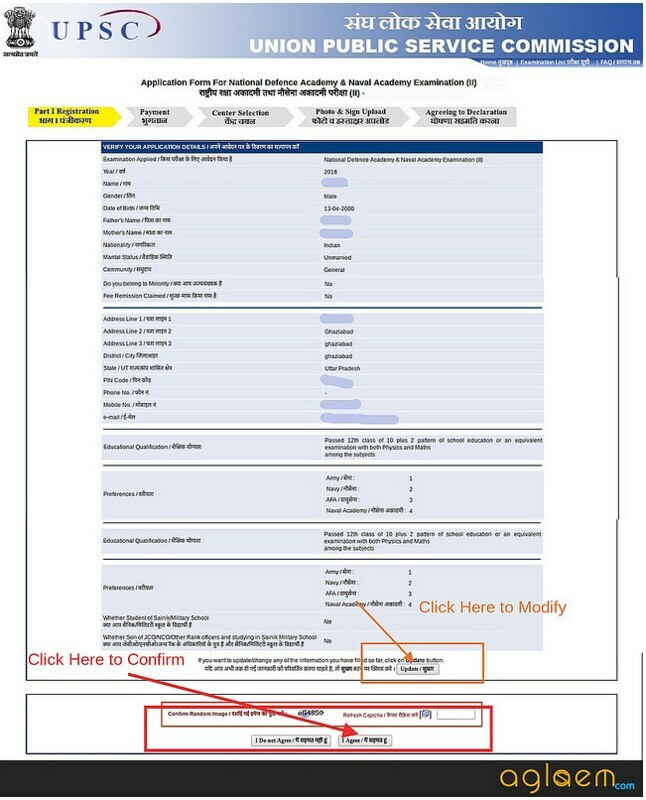 How To Withdraw NDA 1 Application Form 2019? The candidate who wished to withdrew their application form can check the following steps. 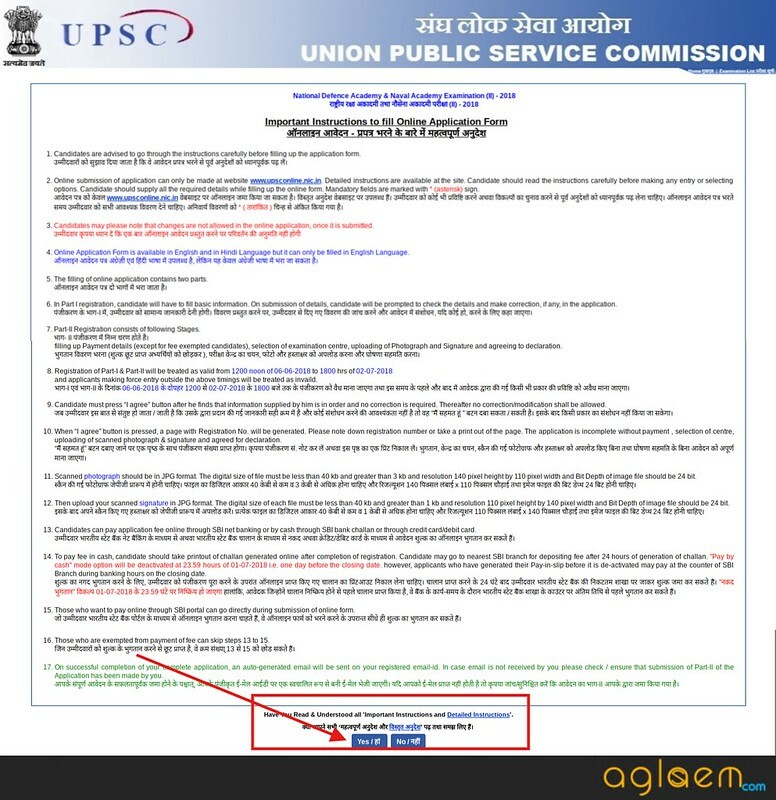 The candidates have to click on the above link which lands to the UPSC’s website. Where candidates have to click on the link provided below the section named “To withdraw application”. Then the instruction page appears, the candidates have to read the instruction carefully then click to the proceeding. Now candidates have to enter the registration number for withdrawing their application form. 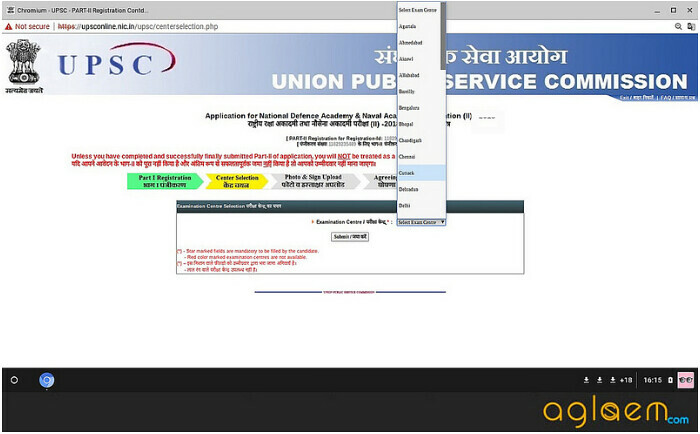 After providing the registration number the UPSC will send the OTP to the registered mobile number and email id. The candidates who are willing to apply for NDA 1 2019 should meet the eligibility criteria laid down by the UPSC. For detailed eligibility of NDA 1 2019 click here. The application fee for NDA 1 2019 is Rs. 100/-. All the candidates have to pay the application fee, except for the SC/ST candidates/Sons of JCOs/NCOs/OR. These candidates are exempted to pay. 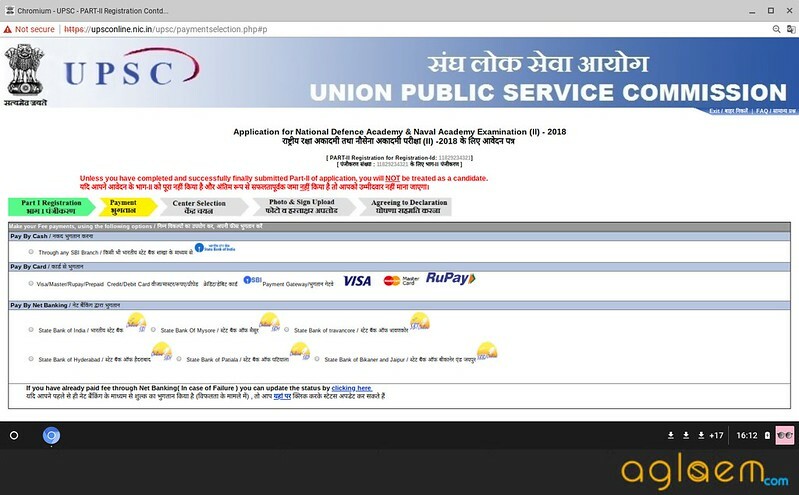 Mode of Payment: The UPSC has provided two modes for submitting the application fee. Online: by using Visa/MasterCard/Rupay Credit/Debit Card. Offline: by depositing money in nearest SBI Branch via challan. The candidates require the following documents to fill the NDA 1 Application form. How To Fill NDA 1 Application Form 2019? 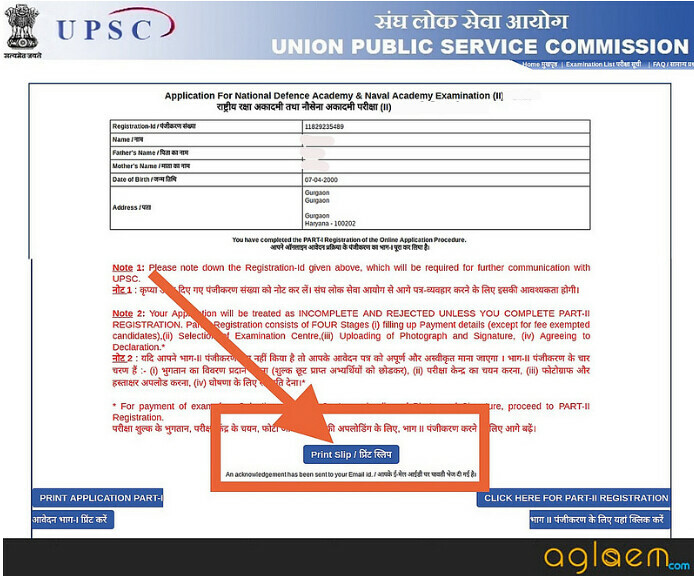 UPSC NDA 1 Application form comprises of two parts. It is mandatory to fill both the parts. The candidates have to follow the provided steps. At first click on the above link which lands up to the page similar to the below image. Now click on the part I registration link. Now a page with some instruction opens, read them carefully ten procced for filling the application form. The registration page opens then. Here candidates have to fill the following details. After filling in the details, Confirm to submit the details. Make sure all the details are correct, You will not be permitted to edit the application form once submitted. After entering the asked details you have to click on the button. Now the next page will appear like this page. Choose the preference among Army, Navy, Air Force, and Naval Academy and Click on the Confirm Button. Now the confirmation page will generate like the below image. At last on completion of Part I registration you will get the page like this. Registration compltes here. Payment is the next step in the application process. Select the payment mode. Two modes are available for filing the application fee. Either by depositing money in SBI bank. Or by Online payment. Now the candidates ahve to select the city in which he wants to appear for the examination. The list of the center where the NDA examination is going to be held given below. The fourth step is a crucial step for this keep some important documents handy. Keep the scanned copy of Photo and Signature in a Pen Drive or in CD ROM. The page will look like this and here you have to upload the photograph and Signature. Here the candidates have to agree with the declaration, that, He is responsible for all the details furnished by him in the application form. Log in to your account by entering Registration Number and Date of Birth. And complete the part II registration. Those who will fill the application form in time, only those will be issued the admit card of NDA. UPSC will issue the admit card to all the candidates 03 weeks prior to the examination at upsc.gov.in. The candidates have to enter the registration number and password to download the admit card. No, Your DOB proof will be your 10th mark sheet so it will be preferred first. Yes, you can write NDA exam. yes, of course general wale bi apply kr skte hai. You have to clear 10+2 then you are available for NDA 1. You cannot apply for this exam now wait for your turn.